Watching the Syrian Army pummel the Syrian town of Homs to put down the rebellion there against the regime of President Bashar Assad is the remake of a really bad movie that starred Bashar’s father, Hafez, exactly 30 years ago this month. I know. I saw the original. It was April 1982, and I had just arrived in Beirut as a reporter for The New York Times. I quickly heard terrifying stories about an uprising that had happened in February in the Syrian town of Hama, led by the Syrian Muslim Brotherhood. Word had it – there were no Internet or cellphones – that then-President Hafez Assad had quashed the rebellion by shelling whole Hama neighborhoods, then dynamiting buildings, some with residents still inside. That May, I got a visa to Syria, just as Hama had been reopened. 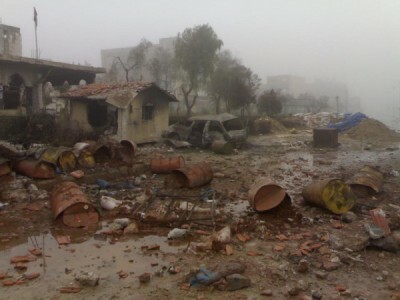 The Syrian regime was “encouraging” Syrians to drive through the broken town and reflect on its meaning. So I just hired a cab and went. Hama Rules are no rules at all. You do whatever it takes to stay in power and you don’t just defeat your foes. You bomb them in their homes and then you steamroll them so that their children and their children’s children will never forget and never even dream of challenging you again. Well, 30 years later, the children of those Syrian children have forgotten. They’ve lost their fear. This time around, though, it is not just the Muslim Brotherhood rebelling in one town. Now it is youths from all over Syria. Navtej Dhillon and Tarik Yousef, the editors of “Generation in Waiting: The Unfulfilled Promise of Young People in the Middle East,” note that more than 100 million individuals between the ages of 15 and 29 live in the Middle East, up from fewer than 67 million in 1990, and much of what their governments have promised them by way of jobs, marriage opportunities, apartments and a voice in their own future have not materialized. This is what sparked all these volcanic uprisings. But Syria is not Norway. The quest for democracy is not the only drama playing out there. Syria is also a highly tribalized and sectarian-divided country. Its Shiite-leaning Alawite minority – led by the Assads and comprising 12 percent of the population – dominates the government, army and security services. Sunni-Muslim Syrian Arabs are 75 percent, Christians 10 percent and Druze, Kurds and others make up the rest. While Syria’s uprising started as a nonsectarian, nonviolent expression of the desire by young Syrians to be treated as citizens, when Assad responded with Hama Rules it triggered a violent response. This has brought out the sectarian fears on all sides. Now it is hard to tell where the democratic aspirations of the rebellion stop and the sectarian aspirations – the raw desire by Syria’s Sunni majority to oust the Alawite minority – begin. As a result, most Alawites are rallying to Assad, as are some Sunnis who have benefited from his regime, particularly in Aleppo and Damascus, the capital. These pro-regime Alawites and Sunnis see the chaos and soccer riots in Egypt and say to themselves: “Assad or chaos? We’ll take Assad.” What to do? Ideally we’d like a peaceful transition from Assad’s one-man rule to more pluralistic consensual politics. We do not want a civil war in Syria, which could destabilize the whole region. Remember: Egypt implodes, Libya implodes, Tunisia implodes… Syria explodes. 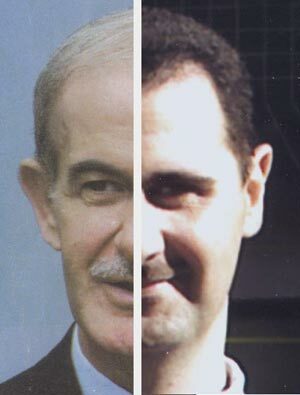 I don’t know what is sufficient to persuade Assad to cede power to a national unity government, but I know what is necessary: He has to lose the two most important props holding up his regime. One is the support of China, Iran and Russia. There, the U.N., the European Union and Arab and Muslim countries need to keep calling out Moscow, Beijing and Iran for supporting Assad’s mass killing of unarmed civilians. China, Iran and Russia don’t care about U.S. condemnation, but they might care about the rest of the world’s. The other prop, though, can only be removed by Syrians. The still-fractious Syrian opposition has to find a way to unify itself and also reach out to the Alawites, as well as Syria’s Christian and Sunni merchants, and guarantee that their interests will be secure in a new Syria so they give up on Assad. Without that, nothing good will come of any of this. The more the Syrian opposition demonstrates to itself, to all Syrians and to the world that it is about creating a pluralistic Syria – where everyone is treated as an equal citizen – the weaker Assad will be and the more likely that a post-Assad Syria will have chance at stability and decency. The more the Syrian opposition remains fractured, the stronger Assad will be, the more some Syrians will cling to him out of fear of chaos and the more he will get away with Hama Rules. For a usually garbage writer, finally something of quality… Theres hope for him yet. Well … you know, madness CAN run in families! Oddly, though, the father seems to have a chin.